Everybody wants to add a little touch of elegance to their homes – be it through décor, accessories, or through furniture. 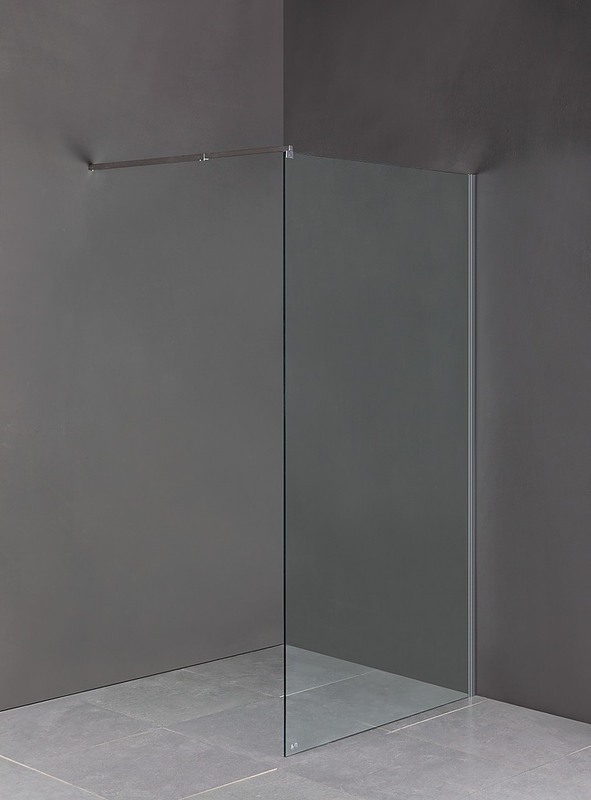 For your bathroom, our Della Francesca Frameless Safety Glass Shower Screens is ideal for doing just that. 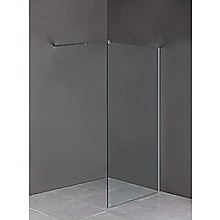 Constructed from toughened safety glass and aluminum, this shower screen won’t be showing any signs of wear and tear soon. Meeting all applicable Australian safety standards, we can’t think of a home that wouldn’t benefit from this screen. The clear glass and aluminum mean that the screen will fit seamlessly into any bathroom’s colour scheme – even the most flamboyant of tastes will be catered to. Ideal for new constructions and renovations, this screen is just the perfect choice. Please do get in touch if you require any further assistance. Single panel made from 10mm-thick toughened safety glass. Meets Australian Standards (AS/NZ 2208:1996 Safety Glazing Materials in Buildings). 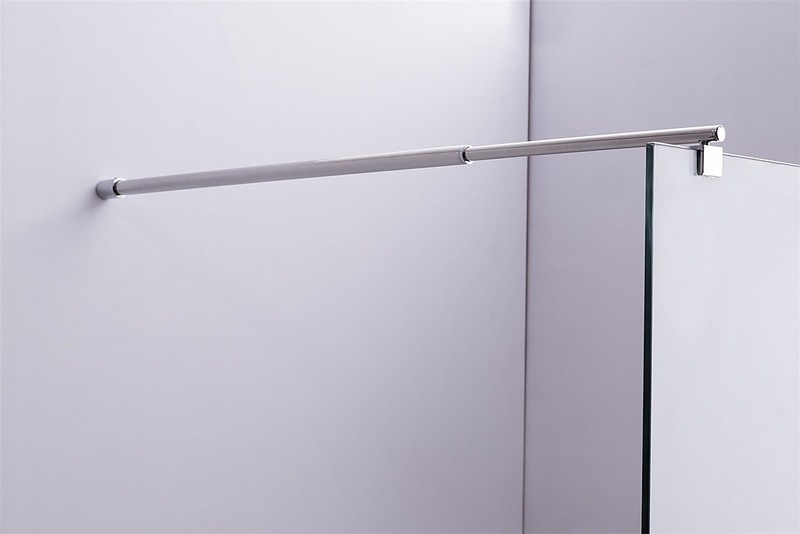 Wall Bracket (U-Channel) and Retractable Aluminium Stabilizing Pole are included. 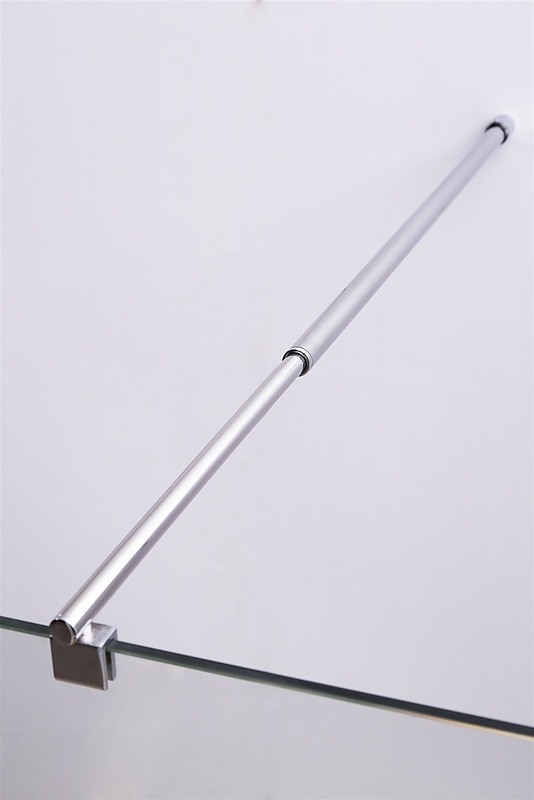 Aluminium Pole can retract from 75cm to 120cm.